A long and immaculate beard. Good-natured and generous eyes. White hair is gathered in a ponytail under his ever-present straw or felt hat. 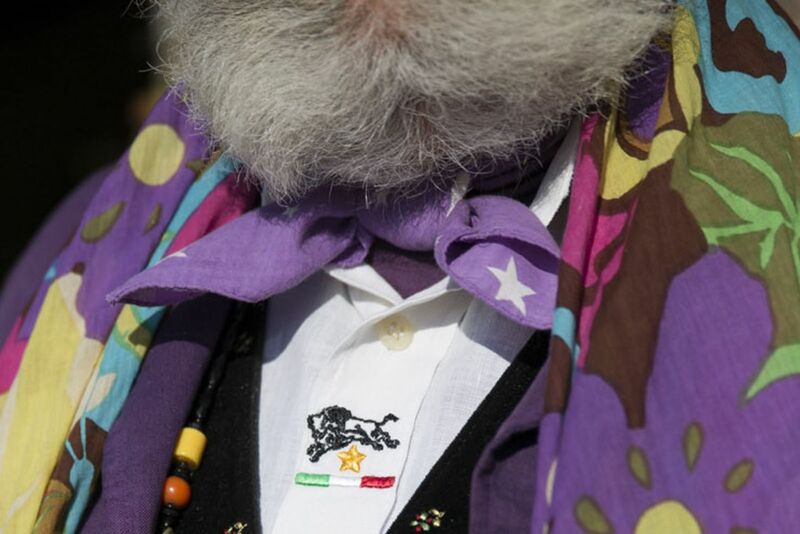 A colorful (or tiny bison-print) scarf is over his shoulders and / or a bandanna is knotted at his neck. 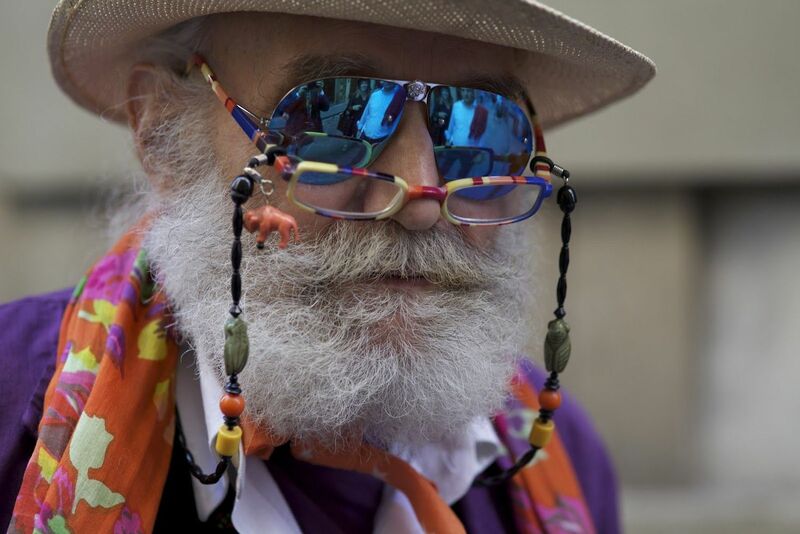 Across his nose, rests a pair of eyeglasses and over them a pair of sunglasses. 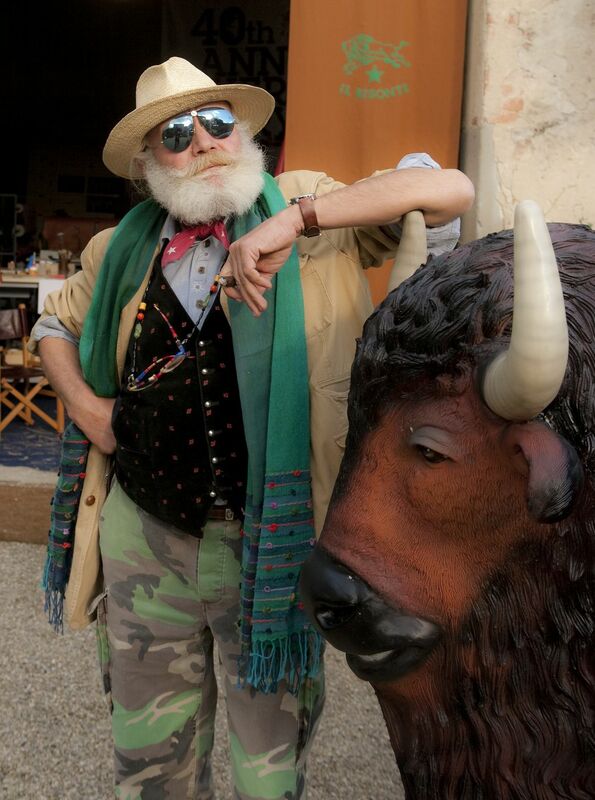 Between lens and frame (also multicolored) dangles a charming mini bison. 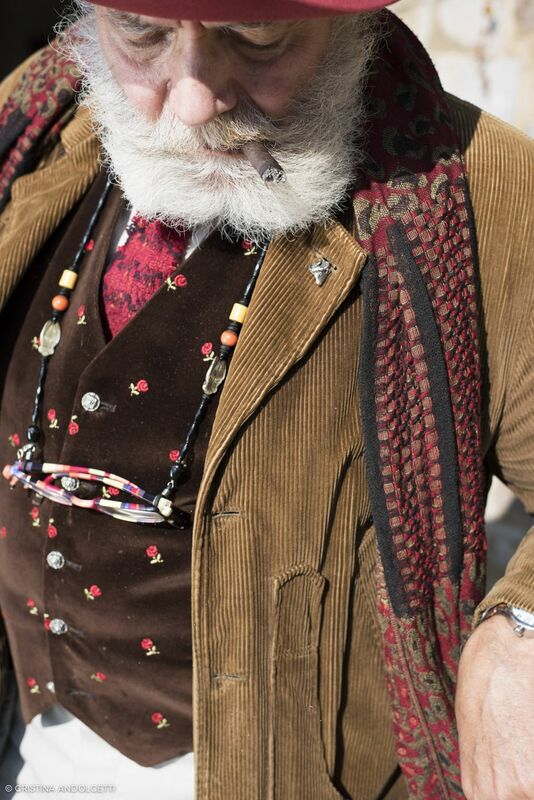 A brightly colored Maremmana jacket opens over a black vintage Tyrolean velour waistcoat with small flowers. Shirts are decorated with a star, a bison and an Italian flag, and have been hand-stitched for decades by the same craftsman from Arezzo. 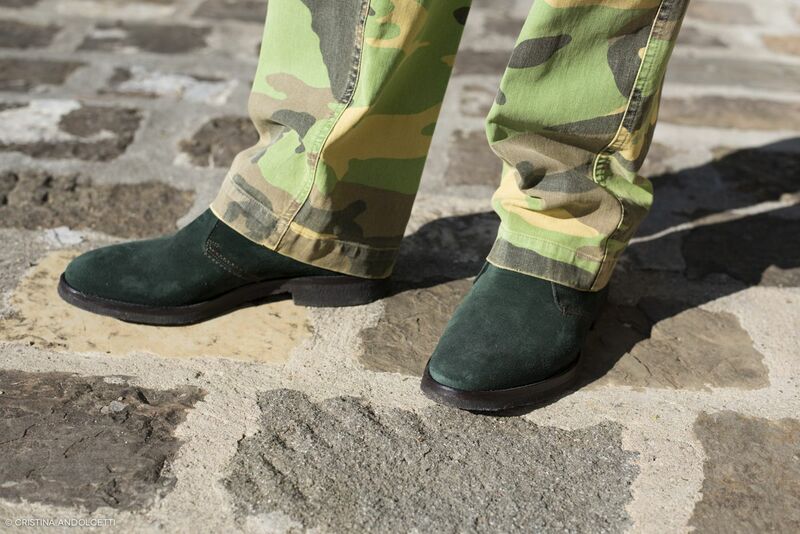 His German military trousers with pockets are hand dyed: solid green, fuchsia, yellow, purple, or camouflage prints. 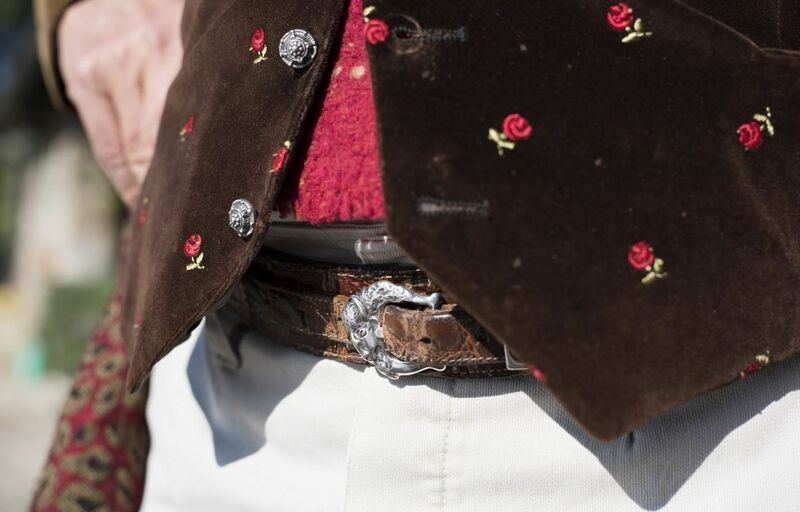 His belts, made of leather or crocodile, are adorned with big buckles, some of which were forged by his silversmith friends. From his pocket peek out a dowsing pendulum (“an easy way to remember the senses we have forgotten”), the inevitable silver cigar case and a coin purse in natural cowhide which four decades of use have aged until it is almost black. 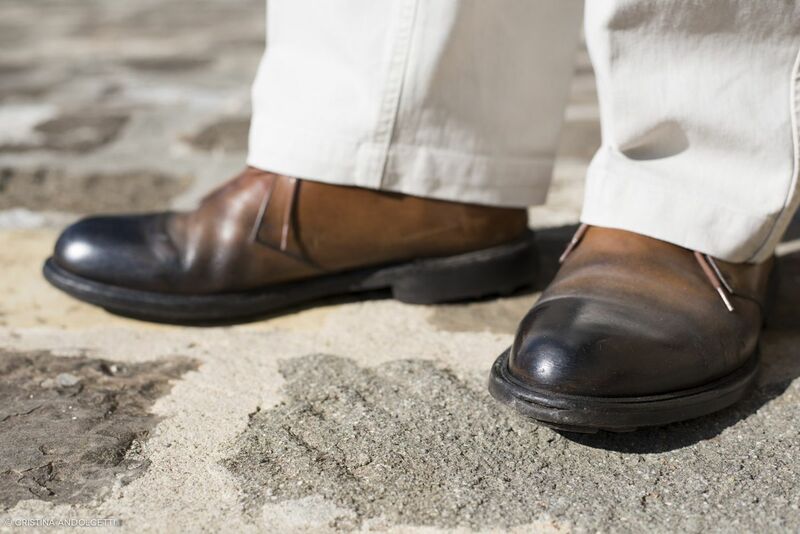 Even his shoes are time-aged or stained dark in front. 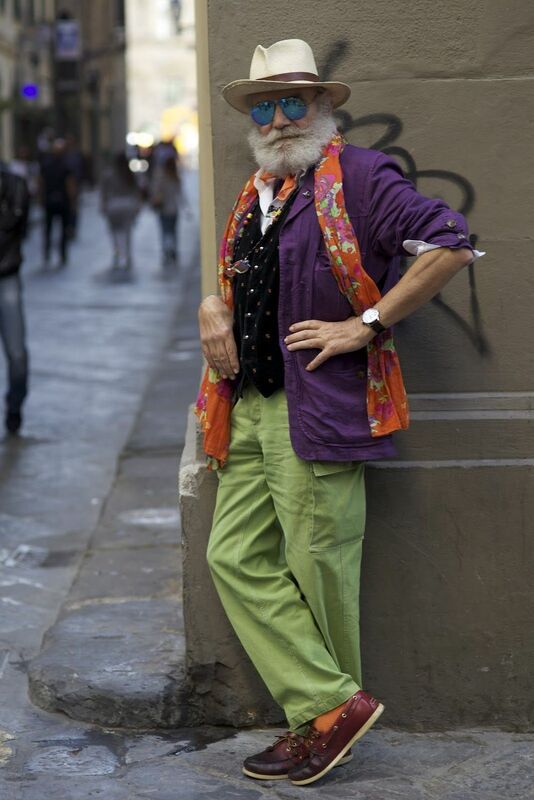 His socks – bought in a Parisian shop – are colorful and—following superstition—scrupulously mismatched. On his wrist are an Il Bisonte watch and two rubber bracelets from Mizuno, a lovely present by the company’s managing director. The ingredients making up Wanny’s joyfully anarchic style are a pinwheel of colors dancing over classic materials: suede, cotton, linen, Casentino cloth, velvet, straw and felt. In his large nineteenth-century wooden wardrobes there are four examples of each garment. 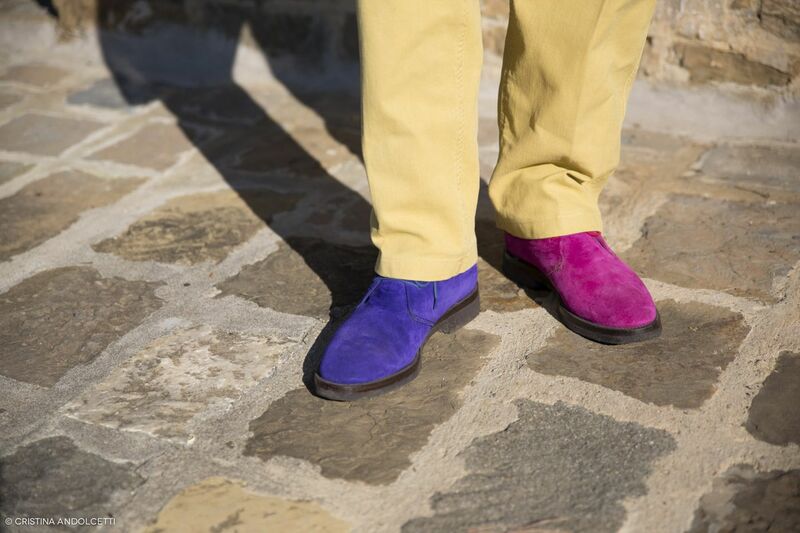 The seasonal change of clothing is done in a flash: felt hat for winter / straw hat for summer (he has over 100); fustian jackets or Casentino wool in winter / linen jackets in summer; ankle boots in winter / boat shoes from May onwards. There are no sweaters. 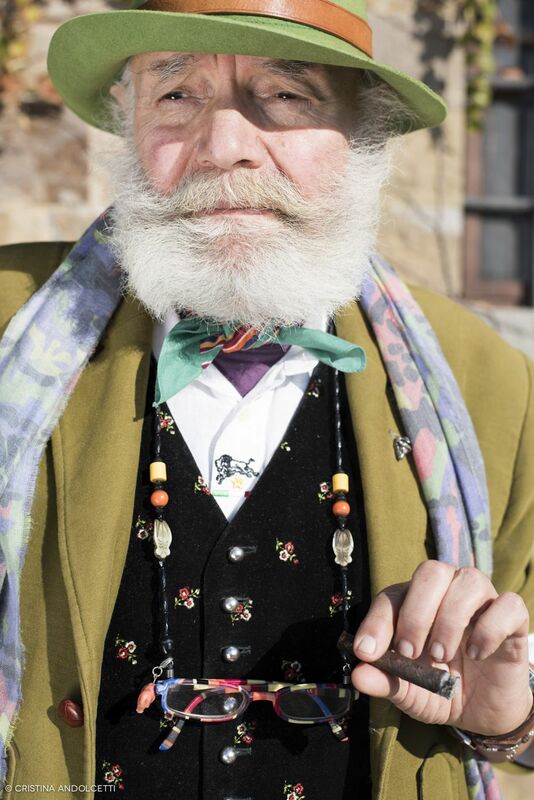 The few ties he has are hand-cut and made by him. 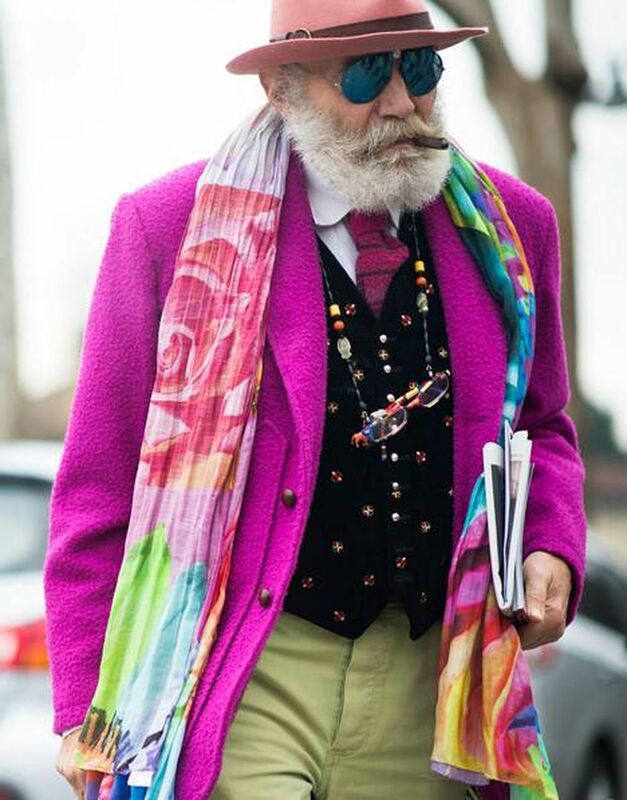 The everyday look of Wanny Di Filippo – the heart, soul and irreplaceable ambassador of Il Bisonte – plays with all the colors of the rainbow and daring combinations of fabrics and patterns. 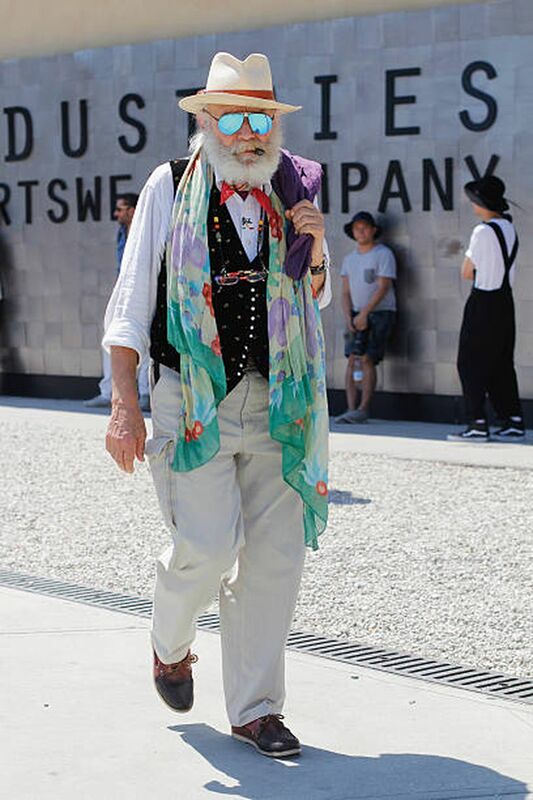 Wanny is sought after by photographers at fashion kermises, revered as an icon by Florentines, and idolized as a star in Japan where his wardrobe has a cult following. 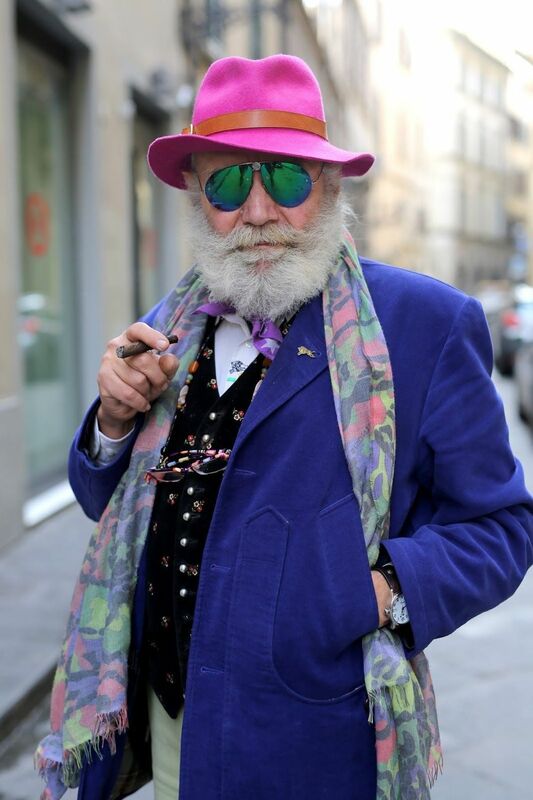 It is hard to imagine him wearing the rigid uniform of his early days when he was enlisted with the Carabinieri for eighteen months. 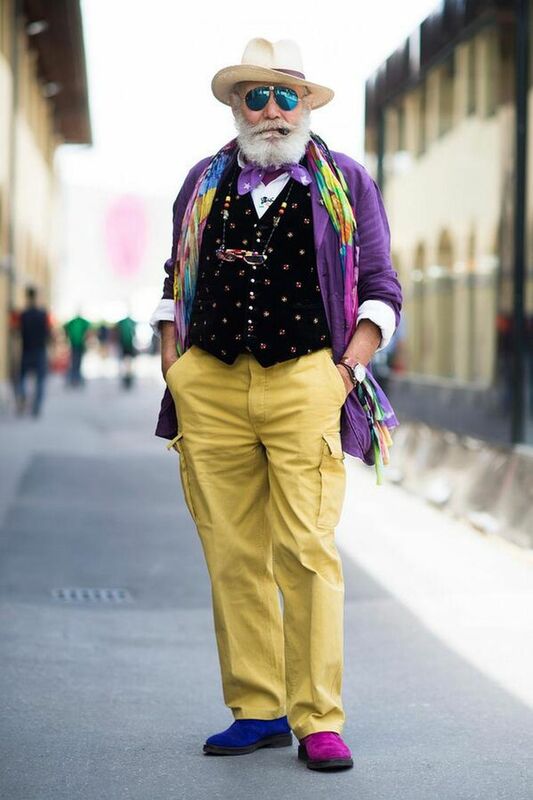 To call him a dandy would be reductive. 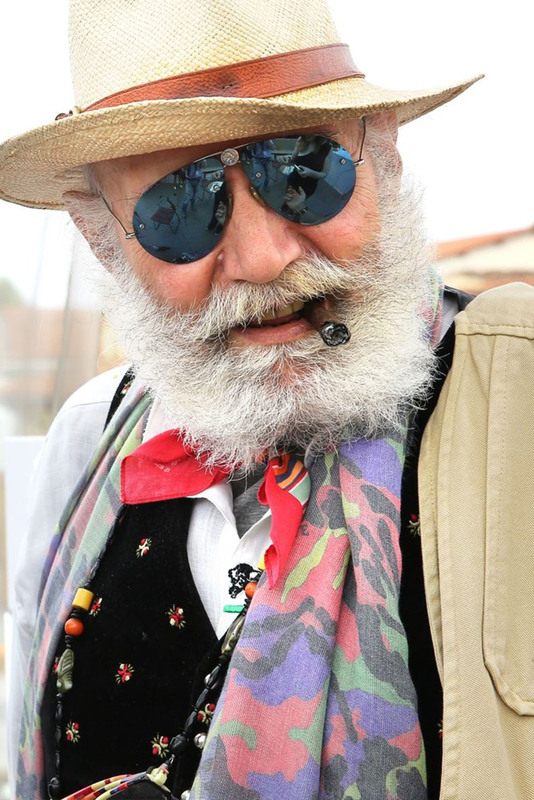 Wanny is freedom personified: freedom to choose and stitch on one’s own style; freedom to play with shapes and colors, regardless of any rules; freedom to dress as only he has known how to for decades, smiling detachedly at fads that pass and trends that grow old. His clothes are neither a provocation nor an extravagance. “They are my pelt,” he explains. And indeed they are perfect on him, like a gift from nature. 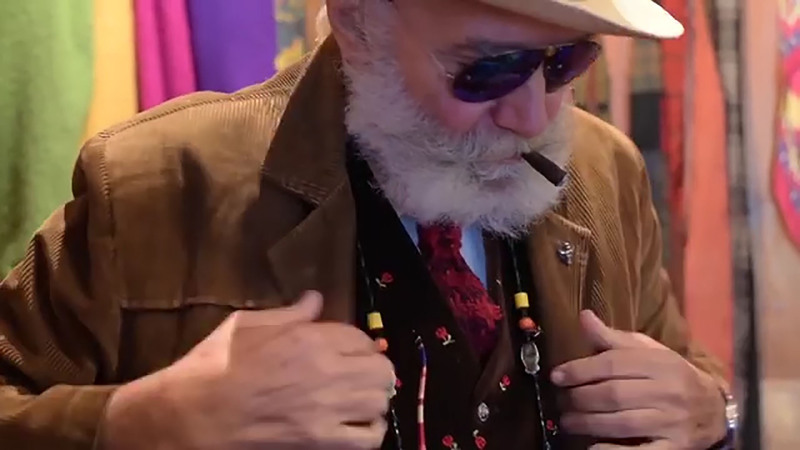 Il Bisonte’s epic founder Wanny – with his unmistakable style – is an authentic ambassador of Made-in-Italy products: every garment in his collection tells a story of everlasting love for quality materials and for those who craft them into unique things. Unique and true, just like him.